How can the age of star clusters be determined? 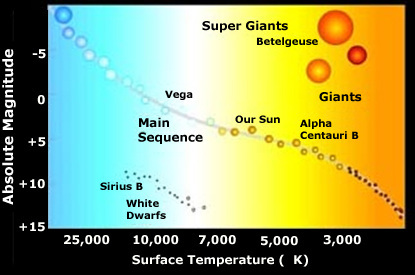 What is the difference between Main Sequence and Red Giant stars? In this video, Dr. Holger Baumgardt from the University of Queensland, helps explain age determination of star clusters using colour-magnitude diagrams and analysis. To add further background information on star clusters and determining their ages, we first need a little info on star clusters themselves - here is a clip from Crash Course Astronomy, by a Phil Plait from BadAstronomy.com. 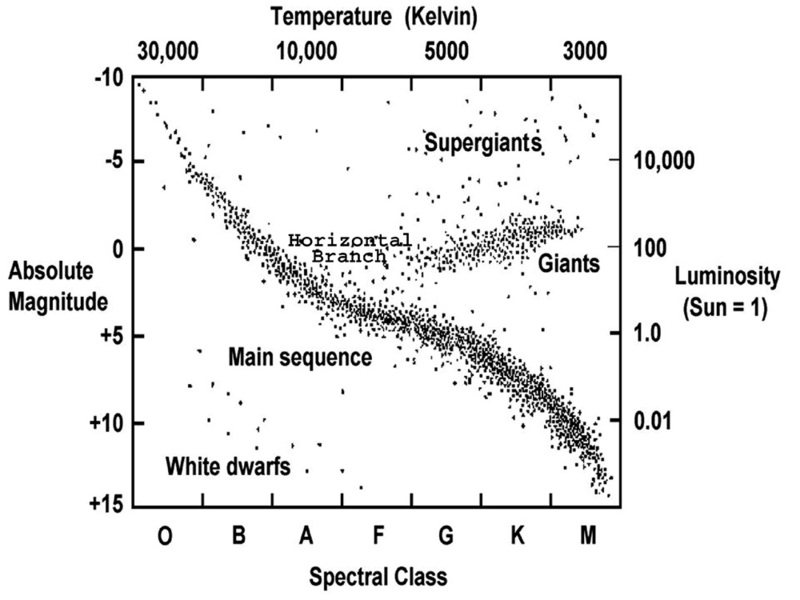 The age of star clusters can be estimated by examining a plot of star brightness (magnitude) against colour (temperature), this plot is known as a H-R diagram. Below are a few examples and variations of these plots. The H-R diagram plot is used to reveal which stars are still on the main sequence - since we are able to easily identify how long a star is able to burn its hydrogen supply in its core before it moves onto the next stage of its lifecycle towards death. These are main-sequence lifespans and are easily found in tables (link 1) (link 2). You can google for more detailed tables with smaller intervals of temperature. 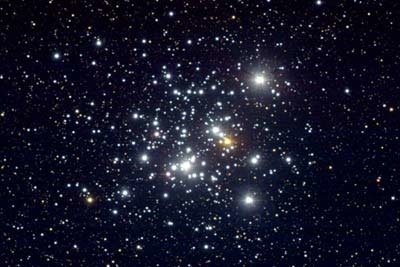 Note that in the upper left corner of the plot, the stars in this cluster have begun to peel away from the main sequence. In the above example, we can see that the upper left stars have begun to move off the main sequence - hence they have moved onto the next stage of their life. This means this star cluster, has to have aged long enough for those few stars to have exceeded their main-sequence lifespan, but not old enough for the stars at about 0.5 B-V to have moved off main sequence. Dr Baumgardt in the video above describes a process where they match the plots with defined 'isochrones' curves or plots (see diagram on the right), that are associated with a certain stellar age, however we can also make estimations based on this turning point on the graph. An example of some of the isochrones that are used to match the star cluster plots.